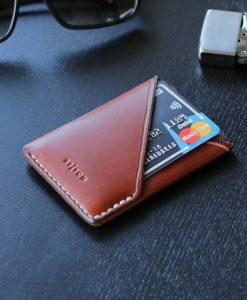 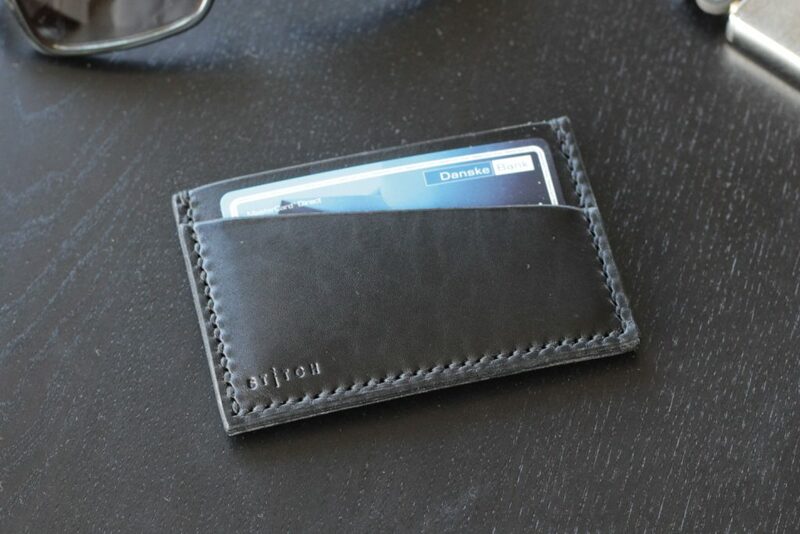 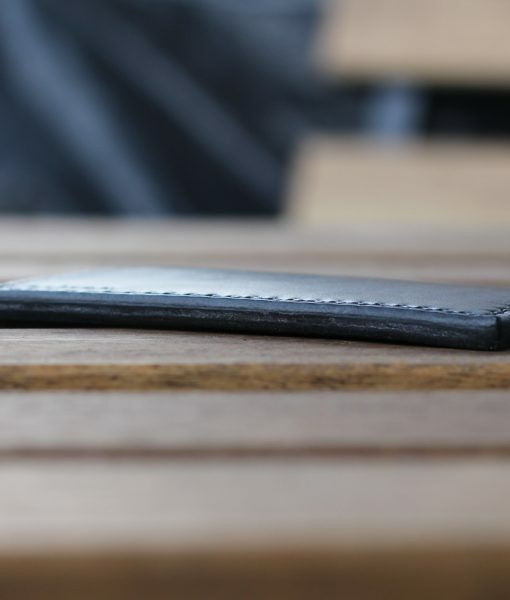 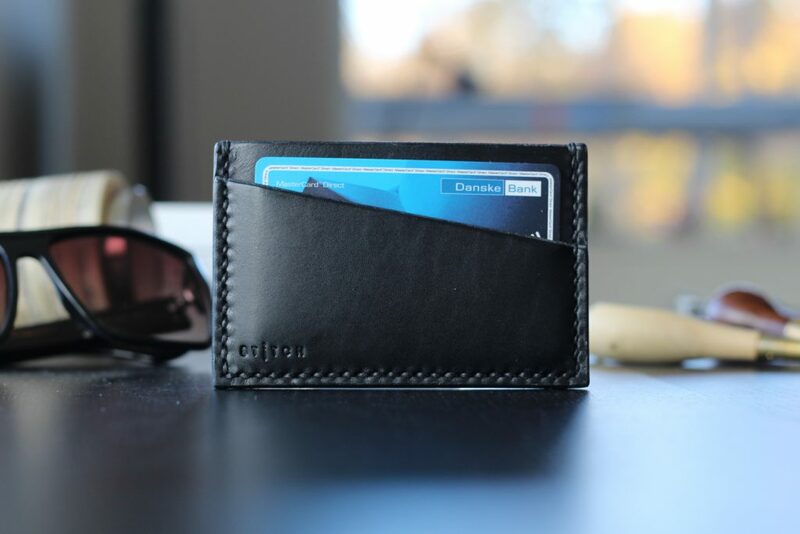 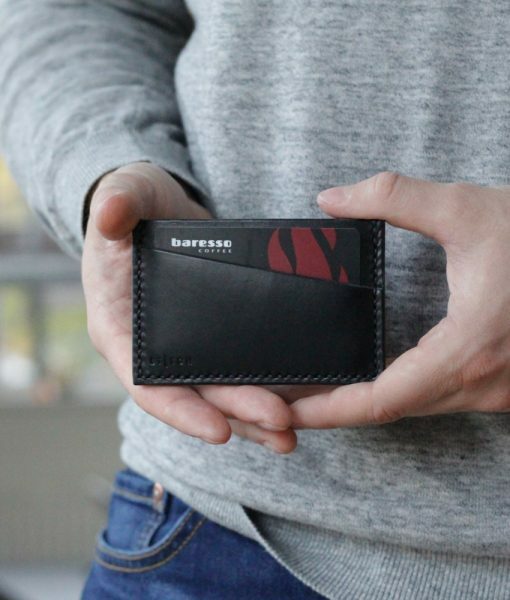 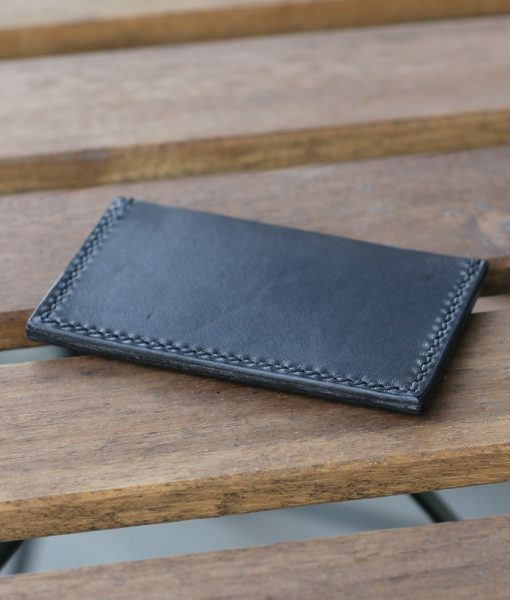 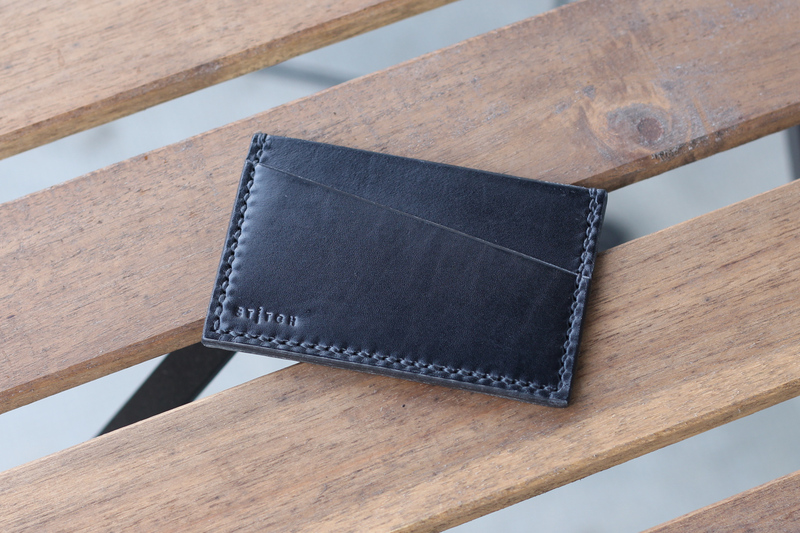 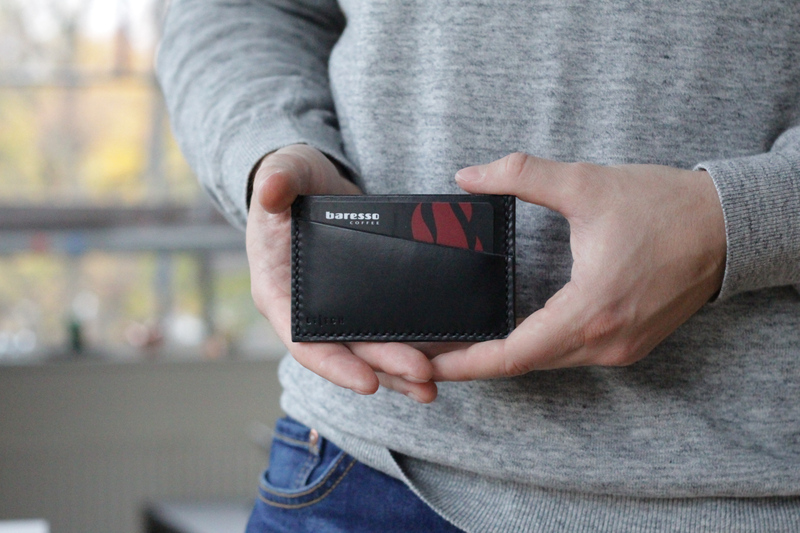 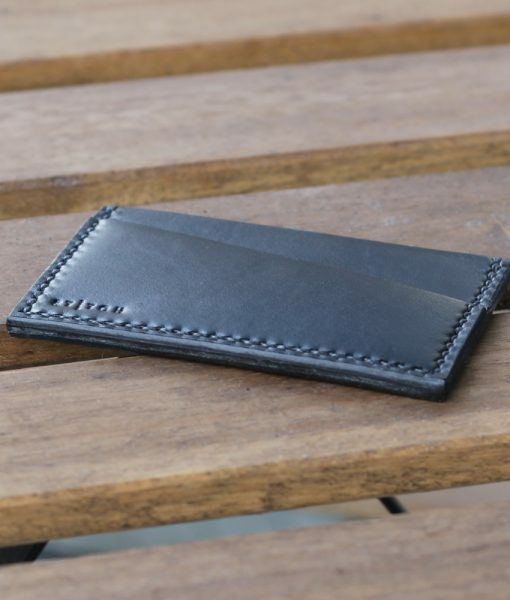 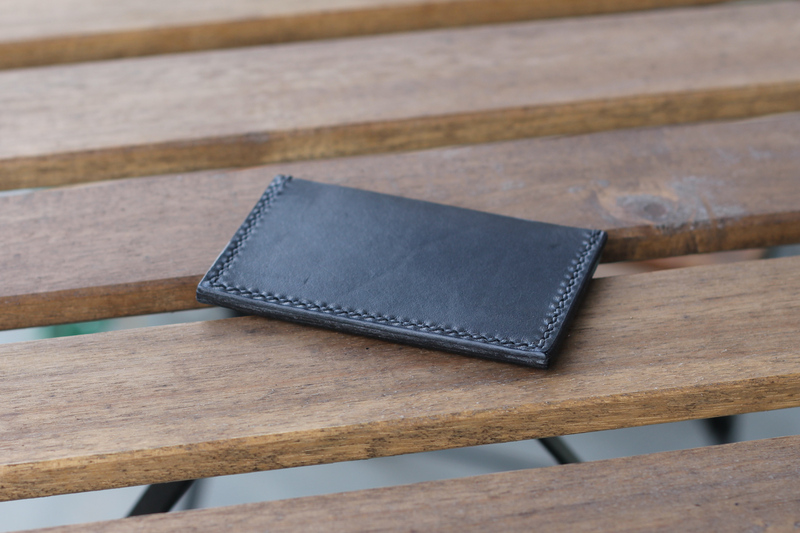 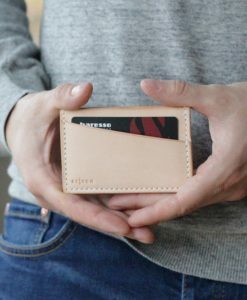 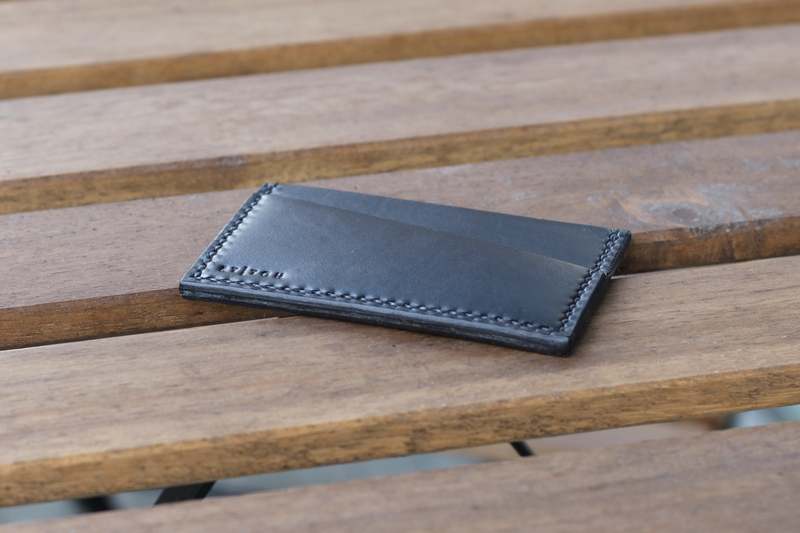 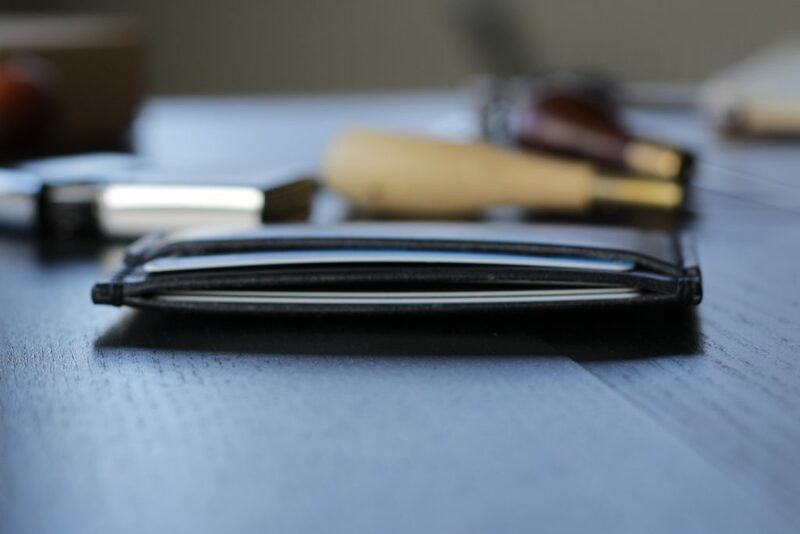 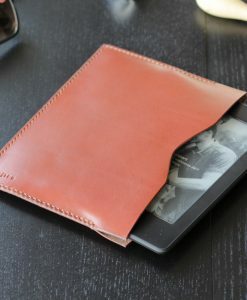 This minimalist leather wallet was designed with two slots for safe and easy access to your essential cards and notes. 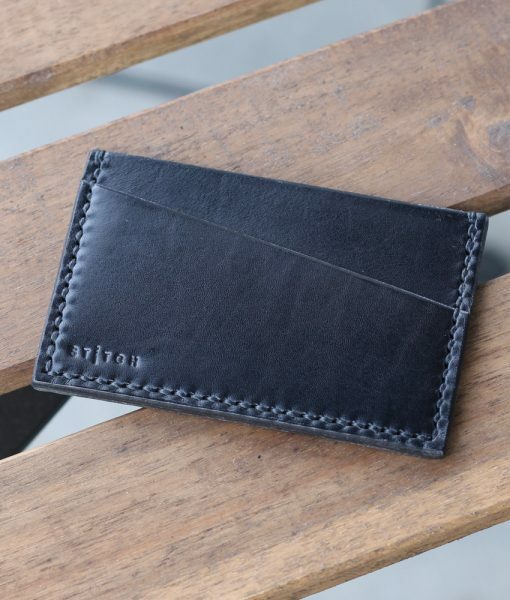 Made from premium British leather and French linen thread, this wallet will last many years to come and will age gracefully. 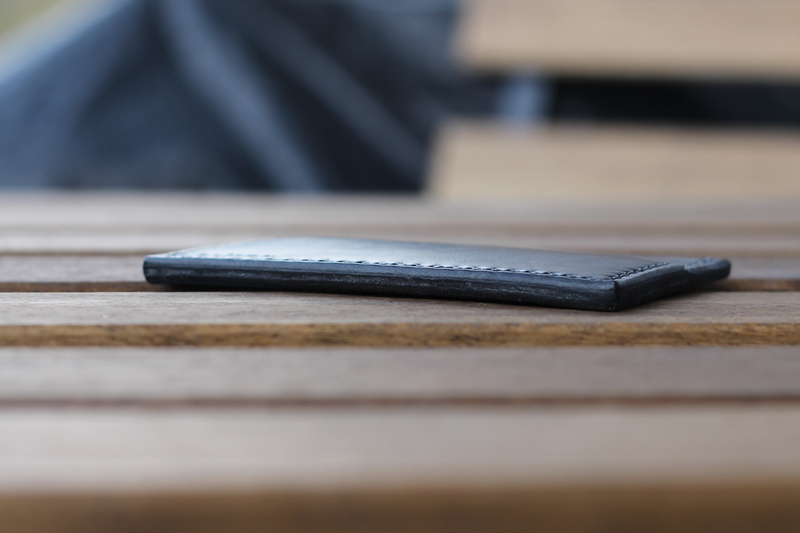 Light and slim, which makes it perfect for everyday use, dining out or travelling light. 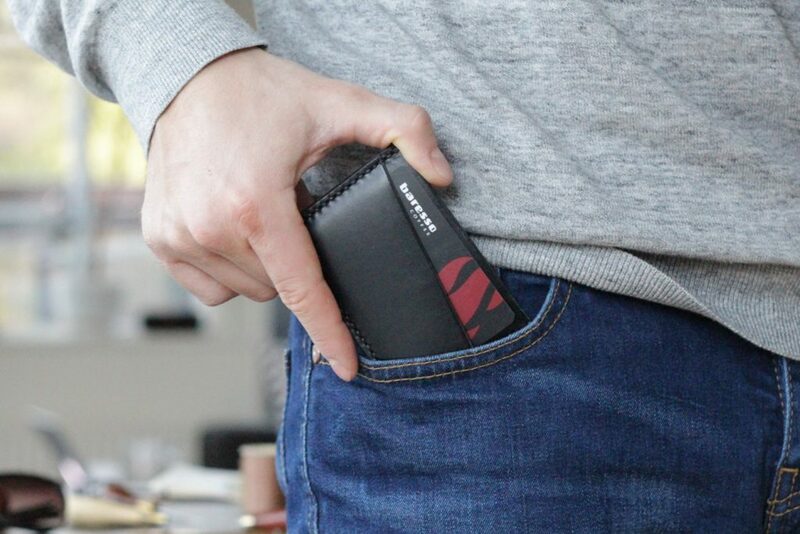 Give it a try if you’re tired of unwanted bulk in your pockets. 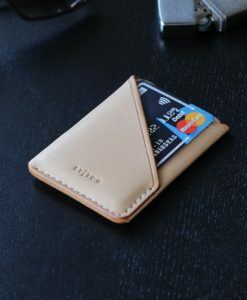 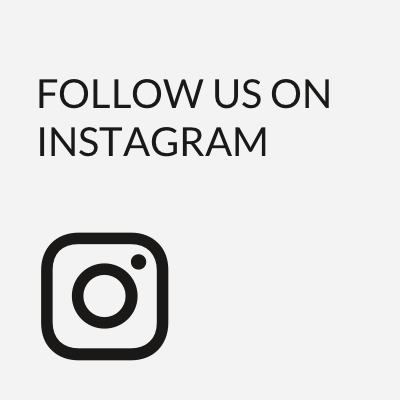 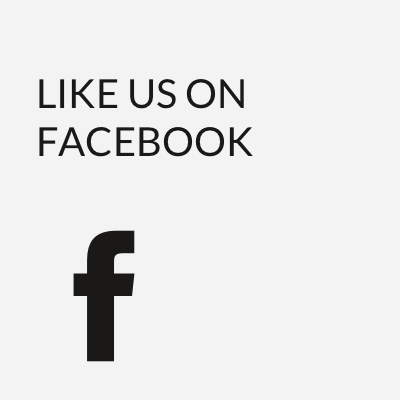 4–6 credit cards, ID cards, driver’s licences, etc.